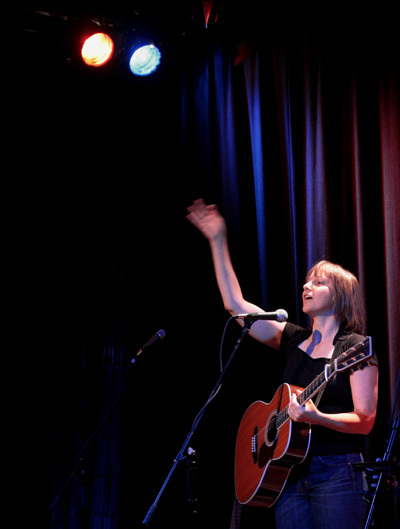 Liz Simcock will chalk up her 10th appearance at TwickFolk with this concert. Last time, she was here she was backed by Dave Ellis & Boo Howard (who played last week – see what we mean by ‘friends & family’? ), but for the Festival she’ll be performing solo. 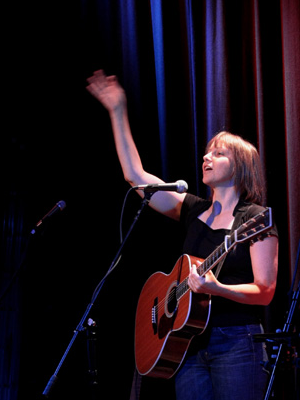 Liz writes songs and performs them in folk and acoustic clubs in and around the Southeast and beyond. In 1999 she featured on the Playpen Album of New Acoustic Music alongside Eliza Carthy, Billy Bragg, Eddi Reader and Kathryn Williams. Since then she has trodden an independent path, gaining a growing reputation as a performer and songwriter. Liz counts Richard Thompson, Clive Gregson, Boo Hewerdine and Joni Mitchell amongst her main song writing role models. Liz’s fourth album (Friday Night Train Home) was released in November 2013. In November 2015 she toured with Clive Gregson, in a celebration of the Gregson & Collister back catalogue.